Ariston has been established in the heating industry since 1960 and today provides millions of families in over 150 countries with efficient and high quality solutions through innovative Italian design. A forward looking company, Ariston are always ahead of the game when it comes the the future of heating and what their customers need, developing innovative solutions at affordable prices. As an organisation they are committed to protecting the environment and promoting sustainability in all their design and manufacturing processes so if the environment is a concern for you this may tip the balance when choosing which boiler to buy. For “Global Expertise, Italian Warmth” choose an Ariston boiler by sending us an enquiry today. We’ll put you in touch with up to 3 fully qualified and reputable heating engineers who will provide their most competitive quotes for free. Ariston’s Combi Boilers hide a lot of power in a deceptively small design. As with all Combi boilers, no separate hot water cylinder is required so it will tuck neatly in your home and simply get on with the job of providing hot water for both your radiators and taps. High efficiency, intelligent technology, simple controls and sleek design make Ariston’s Combi Boilers perfect for the modern day homeowner. The next conversation will inevitably be centred on cost but don’t worry ― you have options! The price of installation will vary depending on which Gas Safe engineer you hire and it really pays to shop around, as well as choosing a boiler at the right price. There are lots of reputable heating engineers who will be able to advise you what to expect and we can put you in touch with three providers in your area, all of whom are highly recommended. Send us an enquiry today and we’ll find up to 3 Gas Safe engineers in your area to provide quotes. Once we’ve done the leg work you can make your decision on the best choice for you and, with your new boiler installed in next to no time, you can watch the savings roll in. Get quotes for a new Ariston boiler. One of the major advantages of a system boiler is that it heats hot water directly from the mains so there is no need for a cold water tank in the loft but you do need a hot water cylinder to store hot water. If your home gets through a large amount of hot water then this could be the choice for you. This is an ideal option for those with multiple bathrooms. Ariston System boilers provide powerful heating performance, reliability and, of course, money saving efficiency. If you think it’s time to start saving money with your new Ariston System boiler the next step is to do find a minimum of three installation quotes from different engineers as the price for this can vary. A heating engineer can recommend the best boiler and heating system for your needs including the output (size) you’ll need. There are a few things to consider such as the upfront cost of installation, annual servicing and any repairs needed during the lifetime of your new boiler, but there’s always a bright side; think of all the money you could be saving on your energy bills! 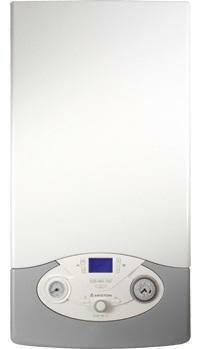 Get quotes for a new Ariston boiler. If you’re replacing an older, traditional boiler then a new Ariston regular boiler will still need similar pipework to connect the three elements needed (boiler, water tank and cylinder). Rather than changing to a completely different type of heating system such as the ‘all-in-one’ Combi boiler, replacing with a modernised Regular boiler will reduce complexity during installation and reduce your costs while still providing a better level of energy efficiency than your old boiler. A compact and stylish unit like Ariston’s with advanced control system and ‘AUTO’ function technology will continuously respond to the temperature of your home ensuring peak performance at all times, improved energy efficiency and money savings. The cost of installation is an important factor to consider when you’re budgeting. If you’re replacing an older, traditional boiler then a new Ariston regular boiler will still need similar pipework to connect the three elements. This simplifies things significantly for the engineer and should therefore be more cost effective than changing to another completely different heating system. Remember to get at least three quotes to make sure you’re getting the best deal. 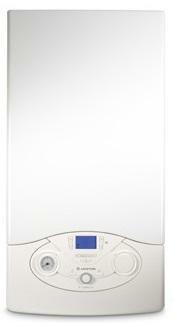 Get quotes for a new Ariston boiler. It’s important to keep your boiler in the best possible condition with an annual boiler service by a professional engineer. This will ensure the boiler can operate as efficiently as possible, keeping heating bills to a minimum, and that there are no potential safety issues to be concerned about. A boiler service is also a great way to catch and fix small repairs before they have the chance to worsen over time and cause an expensive breakdown. Find out what’s involved in an annual boiler service, why it’s so important, the benefits and how much they cost in Ariston Boiler Service. Every boiler manufacturer offers a standard warranty with their boilers which last between 1-10 years. The warranty is your insurance policy and means if a fault develops the manufacturer will resolve it within a specified time frame. Some warranties include both parts and labour while others may only cover parts. The most important thing to remember is to get your boiler serviced by a Gas Safe registered engineer every year as failing to do so is likely to invalidate your warranty. For more detail about this brand’s warranty (including the small print) take a look at Ariston Warranties. Even the highest quality boiler can develop faults and problems as they age. Some are minor issues you may be able to handle yourself but most will need a Gas Safe registered engineer to diagnose and repair the problem. To find out if there are any common problems associated with this manufacturer you can read our guide to Ariston Boiler Repairs & Common Ariston Boiler Problems. Error codes may appear on your boiler’s display; it’s your boiler’s way of telling you that something is wrong. Each manufacturer uses a different coding system to help an engineer to diagnose a fault. In some cases it may be a simple issue such as low pressure which you can adjust yourself but more technical faults will certainly need a professional. We’ve put together a list of error codes for Ariston boilers to help you understand what’s wrong before you contact an engineer. Ariston manufacture a NUOS Plus heat pump water heater which is available in both 200L direct and 250L indirect models. The NUOS Plus delivers an energy efficient hot water supply for homes not on the gas grid or looking to add in some renewable technology such as an air source or ground source heat pump. Ariston also offer a range of solar thermal collectors including flat, on-roof, horizontal and vertical panels which will produce hot water for your home using the free, renewable heat of the sun. The Cube S Net is a Wi-Fi thermostat which can be controlled using the Ariston NET app. The app gives you real time control of your boiler via a tablet or smartphone. You can change your boiler’s status to be changed between seasons, holiday ‘anti-freeze’ mode, switch it off entirely or create a bespoke programme for each day of the week. The app also displays energy reports and recommendations ensuring you have complete control at all times. If you combine the Cube S Net with a series of Cube RF or Sensys Modulating Room Sensors you can heat individual zones in your home to different temperatures. Compatible with all ‘evo’ boiler this 7 day programmer with night set back mode (for setting a lower temperature at night from the daytime). This simple to use manual thermostat is compatible with all Ariston boilers. When combined with the Ariston Outdoor Sensor the Sensys’ ‘Auto’ Function can automatically adapt your heating depending on the temperature outside.